It's been awhile, hasn't it? I have two completed blog posts from November that, oddly, I never published. December and January have been a long, drawn out series of mostly unfortunate events and I had been too wrapped up in feeling crappy about it that I purposely avoided blogging. Or even looking at my blog roll because I didn't want to have to log in and see my own dithering staring back at me. But, Cari is good. Very, very good. She reeled me in like a big ol' Walleye with her theme for today. 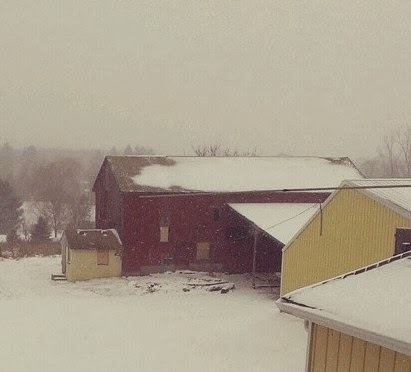 I have a barn. Like a for realsy barn. A 150+ year old barn. We had a barnwright come out this fall and give our beaut the once over. He said that structurally she's in great shape! Visually though, she's a mess. The barnwright believes that since the property was purchased 6 years before the house was built that the barn was built to house the animals along with a smaller house until the "big house" was completed. Sounds legit to me! I have a liaison (sounds a lot cooler than coworker) who has an Amish gentleman, or "the Amish dude" as I call him, doing all of the woodwork in his new house - cabinets, stairs, fireplace, etc., so I asked him to find out if the he was interested in re-siding my barn. Unfortunately that isn't Amish dudes' field of expertise. But! His friend Lewis, also an Amish dude, is a barnwright by trade. So, I'm thinking this summer of somehow getting Lewis down to Howell to have him fix up my barn, or at least give her the once over and price it out! Would you like to see a half-million pictures? I do. 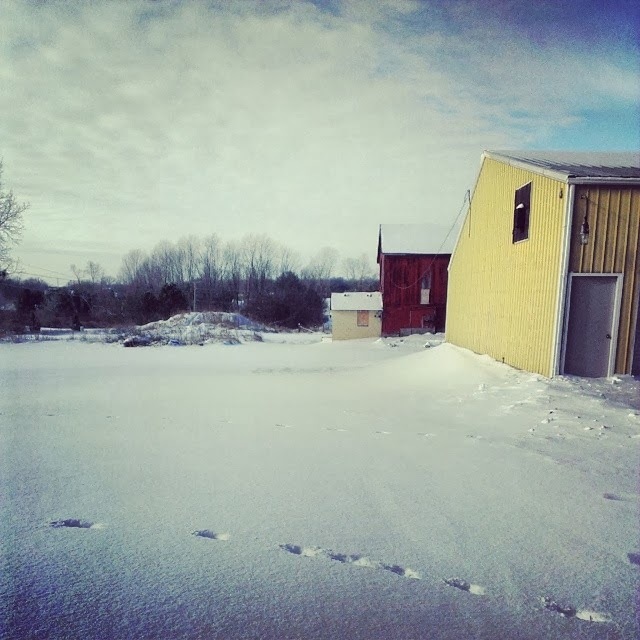 I love my barn. The track for the big door, which is missing. Head on over to Clan Donaldson and enjoy some more pastoral and agrarian photos of barns! Oh my gosh you LIVE there with that barn. So cool. So lovely. I am so, so happy that you got your farm so I can live vicariously through you. Looking up at the roof is such a pretty picture! That is a LOVELY barn. I hope you can get it refurbished - it would be beautiful and scenic and peaceful. Oh, the rafters! So beautiful! What a wonderful barn! 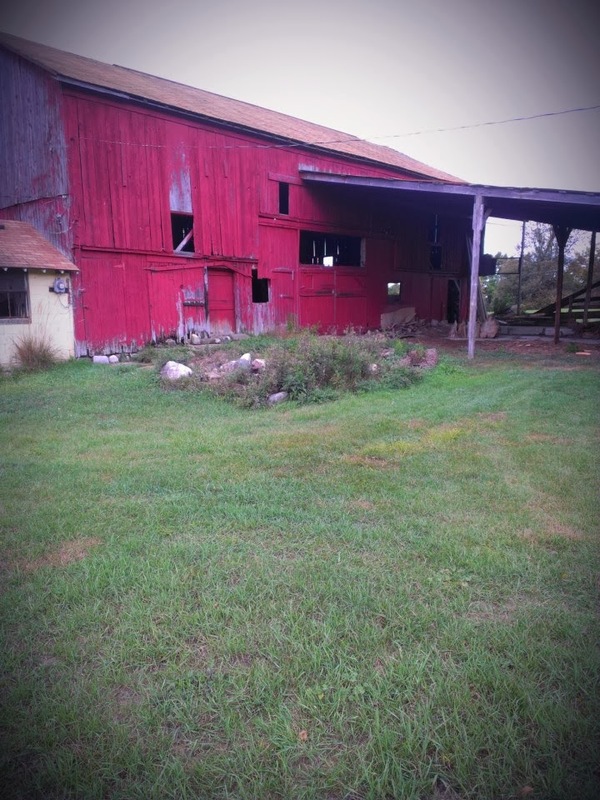 When I'm next at my folks house, I need to dig up photos of our old barn. It was a wonderful place, your photos remind me of it. Lovely! I also love your barn! Gorgeous! Old barns really are the best barns- the one in my Theme Thursday is 100 year old (you win.)! I'm stealing your non-curse-word-curse, as my go-to phrase ("PICKLES!") is getting worn out and people *cough*husband*cough* are starting to make fun of me. Love all the interior detail shots!